Yellen Will Leave Top Fed Post With Solid Record : The Two-Way As Fed chair, Janet Yellen helped the central bank largely achieve its mandate to engineer full employment while keeping inflation at a level that fosters growth. Janet Yellen has served as chair of the Federal Reserve Board since 2014. Federal Reserve Chair Janet Yellen, the first woman to hold that position, won't have the opportunity to serve four more years as leader of the nation's central bank. But she leaves the Fed's top post having largely achieved its mandate to engineer full employment while keeping inflation at a level that fosters growth. On Thursday, President Trump said he would nominate Jerome Powell, a Fed governor, to be Fed chairman, the first time in decades that a president hasn't reappointed a Fed chief for a second term. When Yellen took over as Fed chair from Ben Bernanke in 2014, the economy had largely stabilized after the turmoil of the Great Recession. But interest rates remained near zero. While there were calls from some to raise rates quickly to avoid sparking higher inflation, Yellen engineered a consensus at the Fed for increasing rates gradually. The policy led to steady job growth and a downward march of the unemployment rate to its current level of 4.2 percent. Most economists view that as very near to full employment. Meanwhile, inflation has remained in check. In fact, it has hovered below the 2 percent level that Fed policymakers think is best for economic growth. 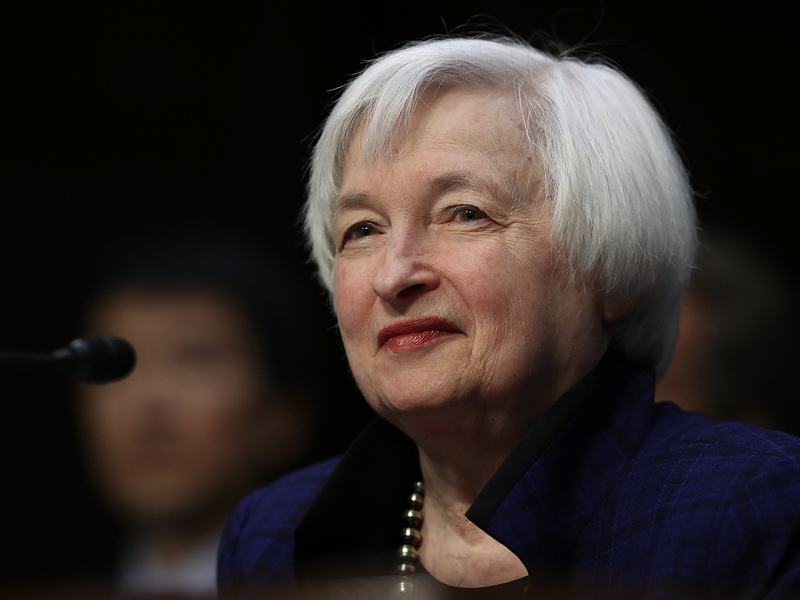 While Yellen has her critics, she is widely viewed as a successful Fed chair. Even President Trump said Thursday that Yellen is "a wonderful woman who has done a terrific job." It would not have been unusual for Trump to reappoint her even though she was a Barack Obama appointee. Three presidents in recent history — Ronald Reagan, Bill Clinton and Obama — have reappointed Fed chairs initially nominated by presidents of the opposing party. However, Trump made clear he wanted to put his own stamp on the Fed. Yellen was vice chair of the Fed's board of governors for four years before taking over as chair in February 2014. She was the head of the San Francisco regional Federal Reserve bank from 2004 to 2010. In the 1990s, she served as chair of the Council of Economic Advisers under President Clinton. Beyond overseeing the Fed's traditional role of setting interest rates, the Yellen Fed also has begun the task of unwinding the extraordinary intervention the Fed engineered to stabilize the economy after the financial crisis. That involved injecting trillions of dollars into the economy through Fed purchases of mortgage-backed securities and government bonds. It left the Fed with a balance sheet of more than $4.5 trillion. Yellen has overseen a process to begin slowly shrinking the balance sheet without destabilizing financial markets.